This is the first time I've seen a physical copy of the manga, but then, I'm not Japanese. If I had to guess, the manga might've come with a special edition of the game, but I have nothing to back that up. I'm not sure why it wasn't released outside of Japan. maybe translating it would've been too much of a hassle, or maybe printing different versions with different languages might've been too expensive. I'm sure people would've liked it. 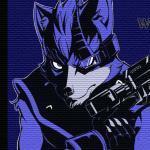 I've always been of the opinion that Nintendo don't utilize Star Fox nearly as much as they could. I'd love to have one of those mangas, so now that I know that there's still some floating about out there, I'll keep an eye out for it. Yeah, I know it wouldn't have been too hard to translate over as it was already printed in a left to right page order, so I think there may have been plans to bring it to English that didn't come to fruition. 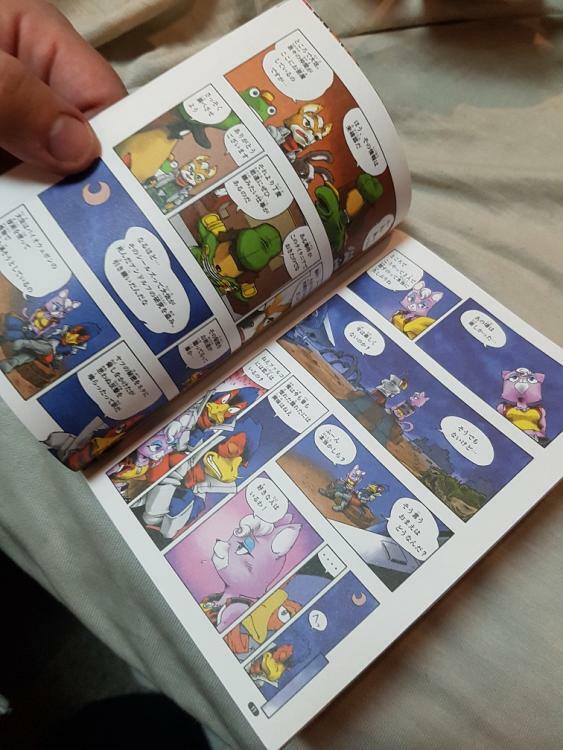 I know the market for Starfox wasn't as strong in Japan as it was in Europe and North America markets so this manga may have been a way to bridge and explain what happen in previous games and in between games to Japanese markets to those that haven't played SF64 to drum up support. I know I've read it was packaged with Starfox Adventures on various Wiki's but I have yet to see any proof of such. 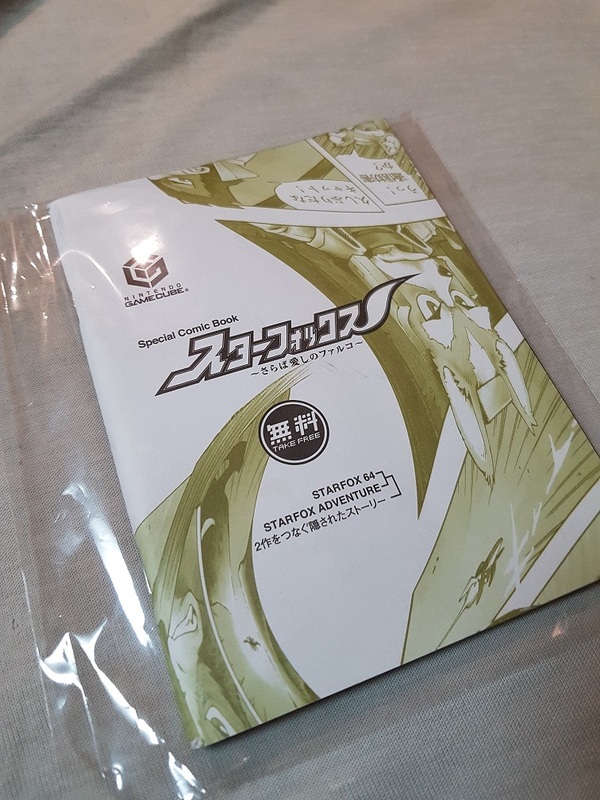 The manga itself says "Take Free" on the cover suggesting something like a promotion that may have been given away with the games. The dimensions width wise fit in a north american GC case but is too short for both clasps to hold it properly. Unless Japanese game cases are shorter. It's also quite thick so packaging a manual and the manga is not practical. I don't see it being included in the case. 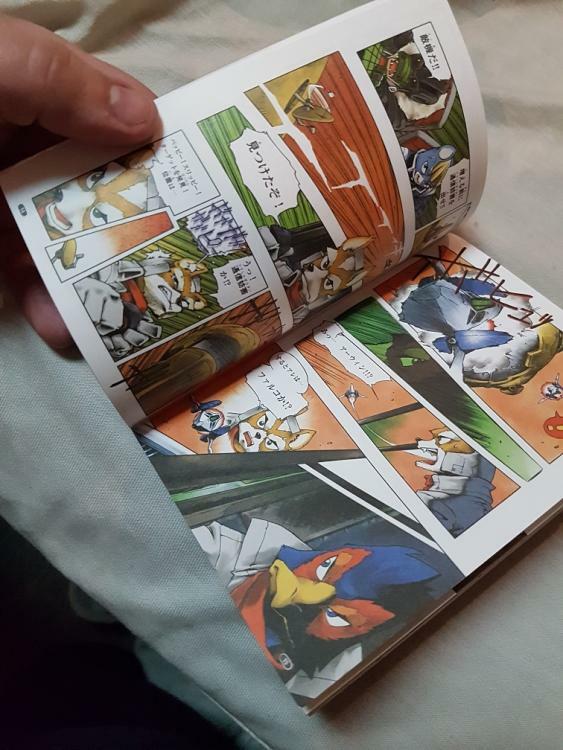 I found in on Ebay under Starfox Manga. It cost way too much though, but I never see them so I had to get it. That's awesome, definitely the first time I've seen a physical copy of it. 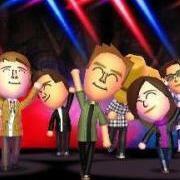 Shame we didn't get it here.